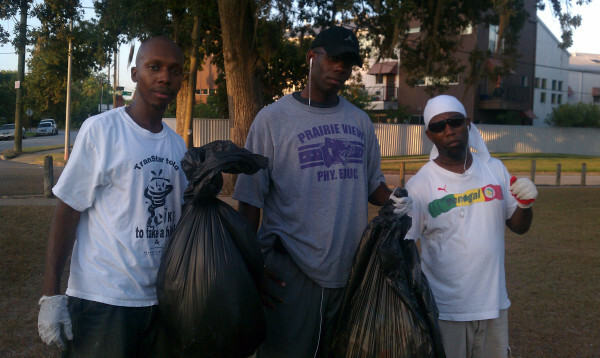 A recent string of murders in the Third Ward area of Houston, inspired emcee and radio host Zin to call on Black men in the community to participate in a weekly clean-up to spread a message of peace in the 'hood. According to a report in the Houston Forward Times: Recently, Third Ward further distinguished itself with 6 murders that have occurred in 45 days, in less than a third of a mile from each other, and each victim. In the early morning hours on July 14, Lori Ann Pittman’s pregnant lifeless body was discovered on Calumet Street, near Burkett Street, one gunshot wound to the head, she was also pregnant. The same day, a man was shot to death in a drive-by shooting on Rosedale near Tierwester. 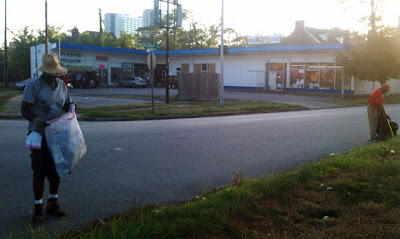 Again, under the cover of darkness, on July 17, Silas Albert’s corpse was found in the 5000 block of Ennis Street, another victim of a gunshot wound, no suspect or suspects in custody yet, this victim was male. Death sought and found another victim on July 27, laying on the feeder road in the 4700 block of the south freeway between Southmore and Blodgett at about 4:44 am. Valerie Rick’s body was discovered dead with a gunshot wound to the back of the head. Again, no witness, no suspect, or suspects identified. Another man’s body was found around 4:30 am at Emancipation Park at Elgin and Dowling. At Forward Times press time another body had been added to the list. With no witnesses or motives determined yet, is Third Ward the preferred killing fields with a new serial killer in its midst? All victims were alone on the streets at early hours of the morning. The Houston Police Investigative team is no doubt comparing ballistic similarities of the ammo used in the murders, and viewing available video images of those areas to ID a suspect, or suspects. 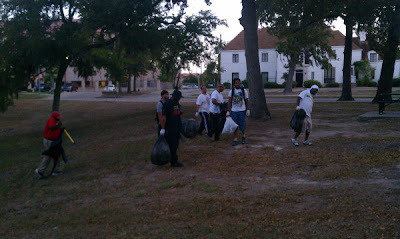 I couldn't attend, but a town hall meeting was held on August 8 at Emancipation Park to address this issue as well. 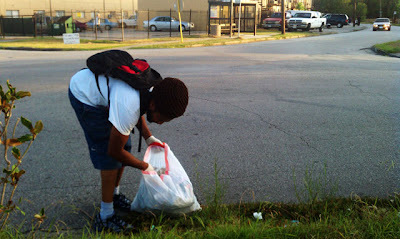 I haven't heard of anything progressive coming out of the meeting as of yet, however, Zin reached out to me prior to that and told me about the weekly clean up. I joined them on August 12, the second of many. 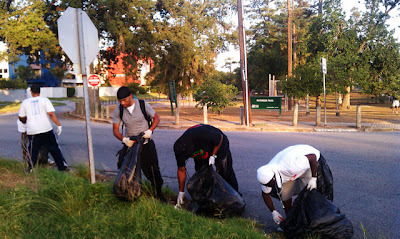 We went South down Live Oak street just off Southmore. 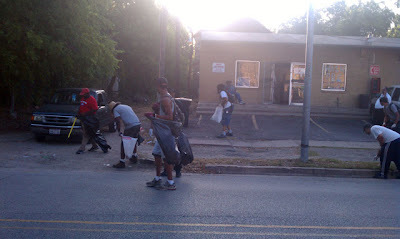 We had many of the residents blowing their horns at us in support as we pick up trash. It may seem small to some, but when just a few of us unify to do something good the impact is HUGE--more than we really recognize in the moment. 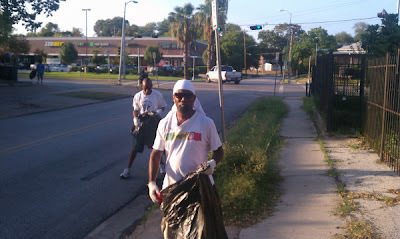 Any Black man in the Houston area interested in being apart of the clean up, meet up on Fridays at 6:30pm at the NBUF Headquarters located at 2428 Southmore. Also, you can tune in every Wednesday to ZIN's show Sound of Soul (S.O.S) on KPFT 90.1FM from 1-3:00pm CST. My weekly news commentary airs around 1:40pm too! Let's unify!